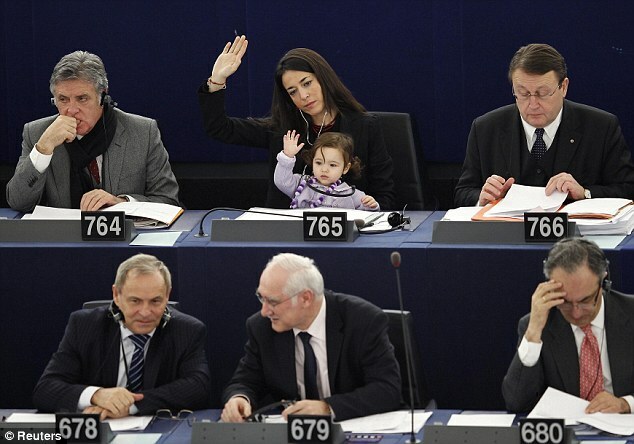 Licia Ronzulli of the European Parliament has been bringing her daughter, Victoria, to work ever since she was a baby. The first two pictures are of the little lady voting on the Eurozone debt crisis. Just like her mama. Serious issues deserve serious cuteness, I say. I think I found my career peg, minus the whole politics thing.